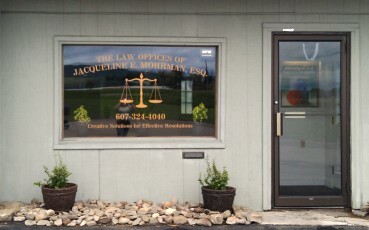 Founded by an attorney with over a decade of experience in the practice of law and located in the City of Hornell, in the southern tier of New York. Whether it be questions about natural gas leases, a real estate transaction, a will, child custody, child support, a new business, help with a foreclosure, or help saving money with a 1031 exchange; learning about your options is just a phone call or email away. Disclaimer: The information you obtain at this website is not, nor is it intended to be, legal advice. You should consult an attorney for individual advice regarding your own situation. Review of this website does not in any way constitute legal representation. Contacting Ms. Mohrman or the Law Offices of Jacqueline E. Mohrman, Esq. by telephone, fax, e-mail or any other method does not constitute legal representation, nor is any information you provide protected by attorney-client privilege until otherwise advised.